Now you can look forward to seeing what's ON the fridge as well as what's inside it! 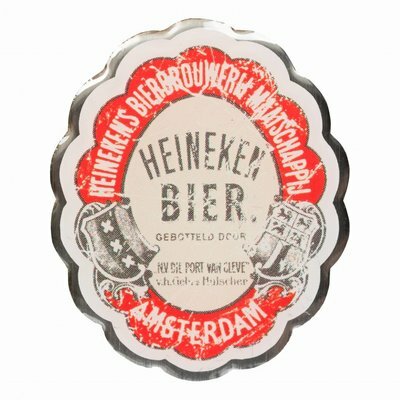 This timeless Heineken magnet features the original label from 1873. Simply fix it to any metal surface to add a hint of old-time charm to your home.